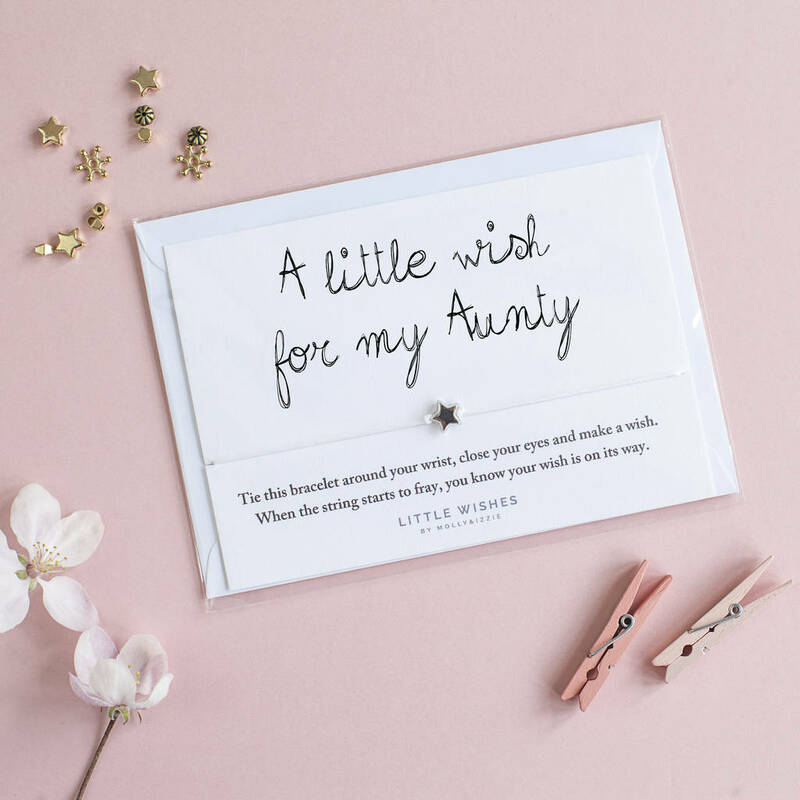 A luxury wish bracelet with a matching envelope that makes a wonderful gift for an amazing aunty. Beautifully handmade wish bracelets make perfect gifts for Mums, Dads, Aunties, Unclues, Cousins, Children, friends, grandparents for birthday's, Christmas and just to show people how much they means to you! Our wish bracelets are a beautiful way to give someone you care for a wish. All they have to do is make a wish and then tie the cord around their wrist. When the cord finally wears down and breaks the wish is released and will come true - so they say! 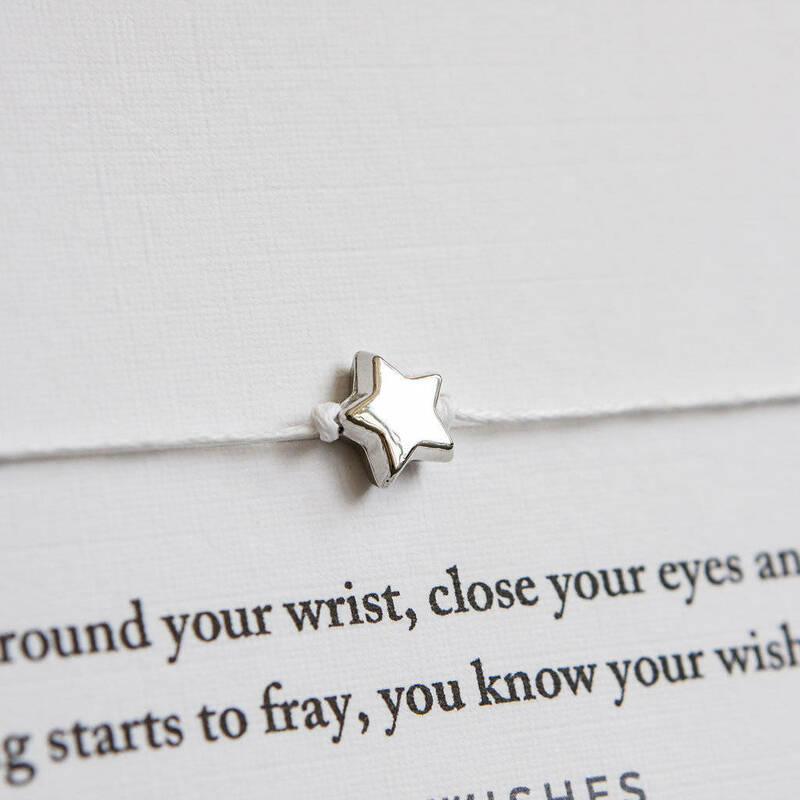 The beautiful wish bracelet is made from 1mm thick, white waxed cotton cord and finished with a Rhodium silver star bead. They are presented on a 350gsm luxury linen textured A6 card and come with a pretty little white envelope placed inside a clear cellophane pouch. They come placed on an A6 card with a matching white envelope. They are the perfect size to pop inside a greetings card or pop in the post. This product is dispatched to you by by Molly&Izzie.